With its clean lines, neutral tones and simple textures, the Lush Real Leather Chrome Stool Grey looks great in any room. A modern model with classic luxuries, the Lush exudes elegance and ensures optimum comfort and support for hours at a time. 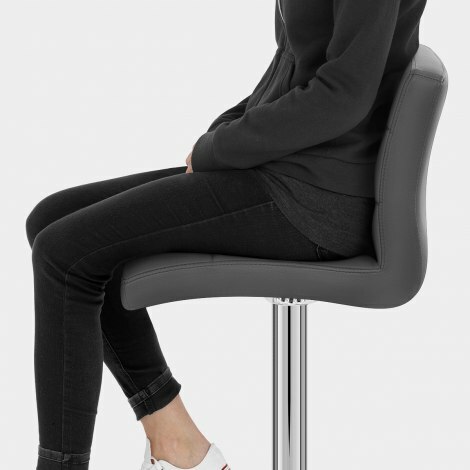 Upholstered in luxurious real leather in classic grey, the seat and supportive backrest are filled with high-density foam for outstanding support. Horizontal stitching creates a segmented effect, adding visual interest to this comfortable model. The contemporary mirrored chrome frame boasts a gas-lift for adjustable height, as well as 360-degree swivel movement. Plus, a uniquely designed rectangular footrest sits on the frame at the perfect height. Differing from other models, the Lush boasts a strong, square, flat base for incomparable stability, complete with a felted underside designed to help to avoid marks to your floors. 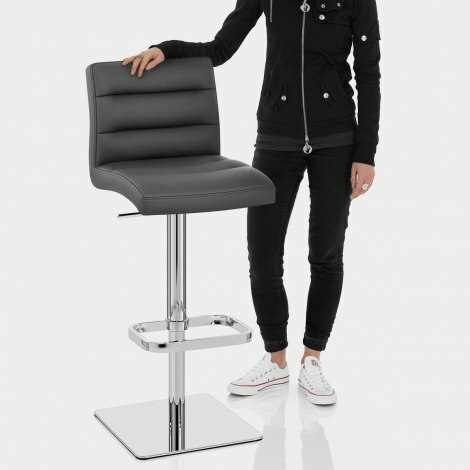 "These are excellent quality and extremely sturdy"
We have been looking for two bar stools for some time, but have been disappointed with the quality and sturdiness. These are excellent quality and extremely sturdy, it is extremely unlikely that these will topple over, due to the very heavy wide base, which is just what we wanted. Beautiful stools . Excellent service. I bought four of these Lush Stools they are excellent quality and really look fab in my new kitchen ....I thought they were a bit expensive at the time but you only get what you pay for and these are a quality item... very please!! Had looked around for real leather stools for quite some time and finally found what I was looking for. 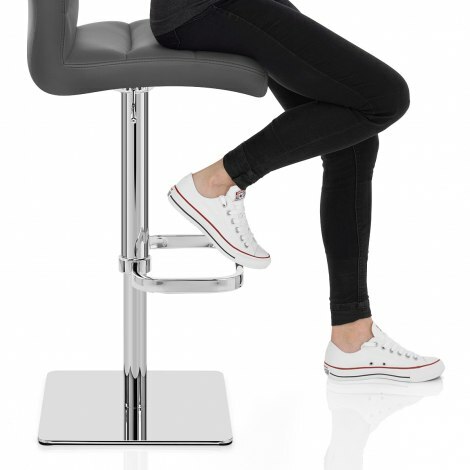 Delighted with the stools which are very good quality, nice and heavy and therefore stable. Bought 4 of these go go round our new dark grey kitchen island. I was thrilled to find real leather for the same price that other places were selling faux leather stools with worse reviews, but ordered 1 chair first to make sure it was as good as the reviews said. It was. These bar stools are comfortable (perhaps too comfortable - I can't get my friends to go home now!) and lovely to look at. The leather is gorgeous, everything looks and feels top quality - a beautiful addition to our kitchen. They are very heavy, as they are commercial quality - which works for us as the kids can't shove them around, and our friends are less likely to topple over after a glass of wine too many. A wonderful purchase!